If you love vibrant, volumized, unique looks, then you’re probably already into the scene style. Whether it’s jet black, white blonde, or a variety of crazy colors, scene hair is all about taking it to the limits instead of blending in and going with the flow. 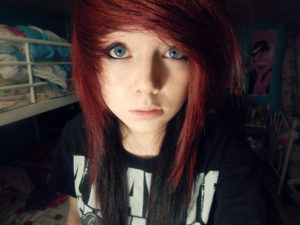 Hallmarks of scene haircuts include lots of choppy layers, razored texture, and big bangs that sweep across the forehead from super deep side parts. 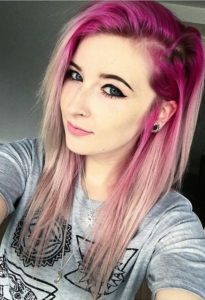 So if you’re ready to go full scene with a brand new hairstyle, these 45 scene haircuts show you tons of ways to get the look whether you’ve got long, short, or medium length hair. A dark color like this fuchsia shows off your vibrant sense of style, while thick hair creates the perfect canvas for big, voluminous layers. 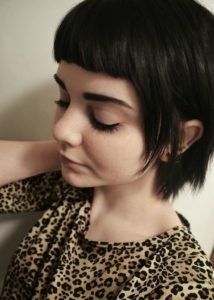 Try this shaggy bob if you’re looking for a short to medium length scene haircut that’s easy to style in a messy, tousled way. Switching from a middle part to a dramatic side sweep gives you lots of options for both dramatic and more laid back looks. We love this shaggy mohawk pixie for a scene haircut that’s got lots of punk inspiration. 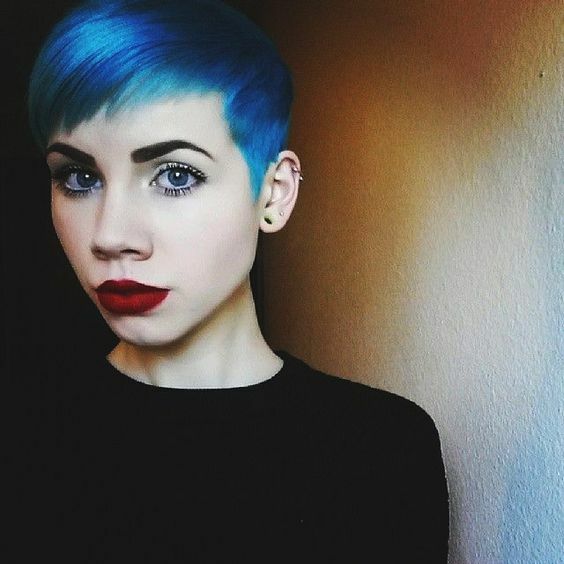 You could wear this hairstyle in your natural color, but there’s something extra special about pulling off the look in a bright shade of aqua blue. 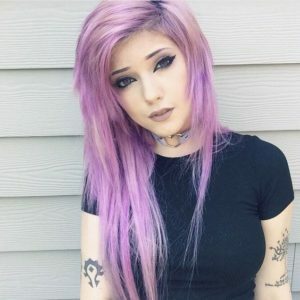 If you’re into gothic inspired styles but you want hair that’s more vibrant than basic black, electric shades of purple or blue are the perfect way to step it up. 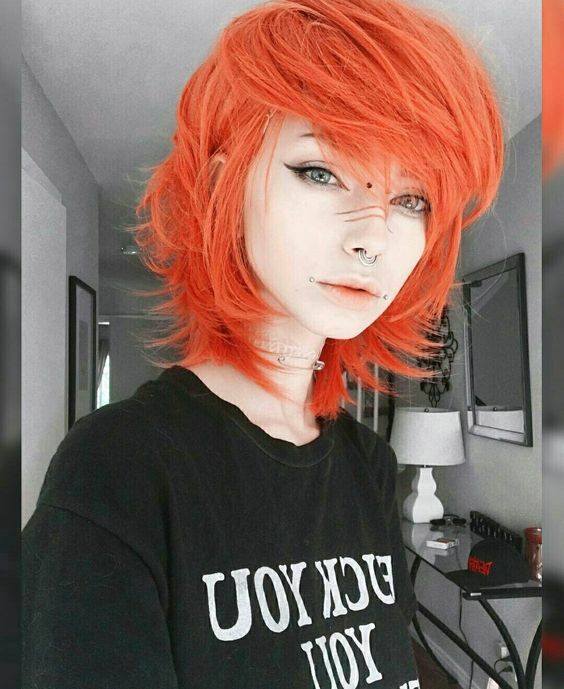 This wavy chin-length bob is actually a fairly classic and demure cut on its own, but the crazy color gives this look a bold scene aesthetic. 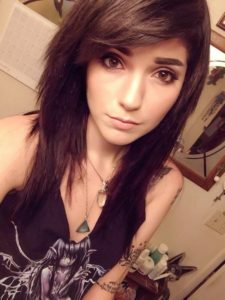 Big side-swept bangs are probably the most popular fringe in the scene style, but we’re loving these wispy lash-grazing bangs for putting attention on the eyes and not completely covering up gorgeously bold eyebrows. 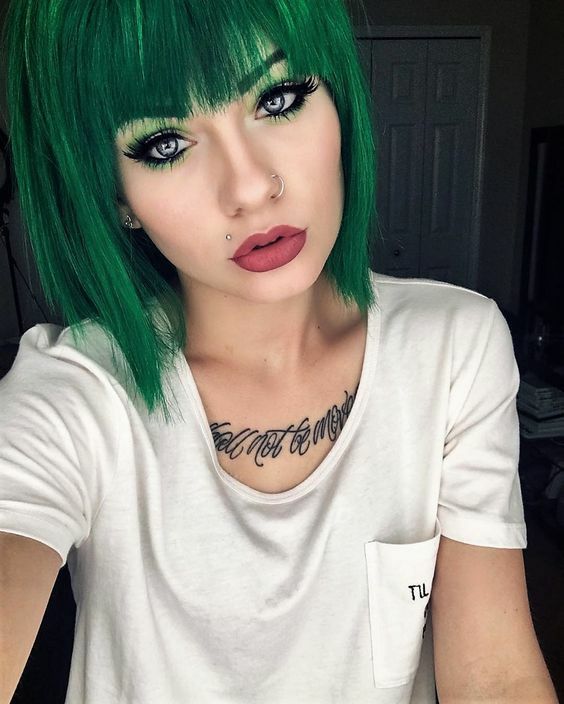 Add in the emerald green color and choppy razored texture of the bob, and this scene hairstyle is the perfect genre-blending look. Another gorgeous example of wispy bangs in a scene haircut, this fine fringe can be worn down across the forehead or be easily pushed to the side. 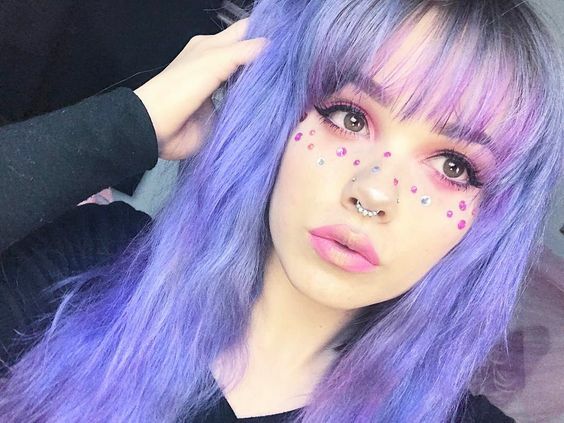 A silvery lavender shade is perfect for color coordinating with your makeup, and is one of the best color choices for anyone with very fair skin. 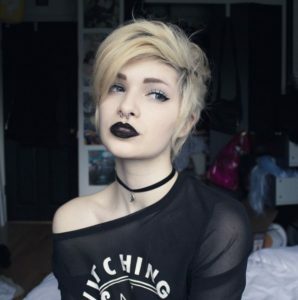 We love crazy hair colors, but this blonde pixie with dark roots makes for a look that’s just as stunning against bold makeup choices like a black lip and smoky eyes. Far from a demure Hollywood pixie, shaggy texture and long pieces in front of the ears make this an edgy shorter style with just the right amount of femininity. 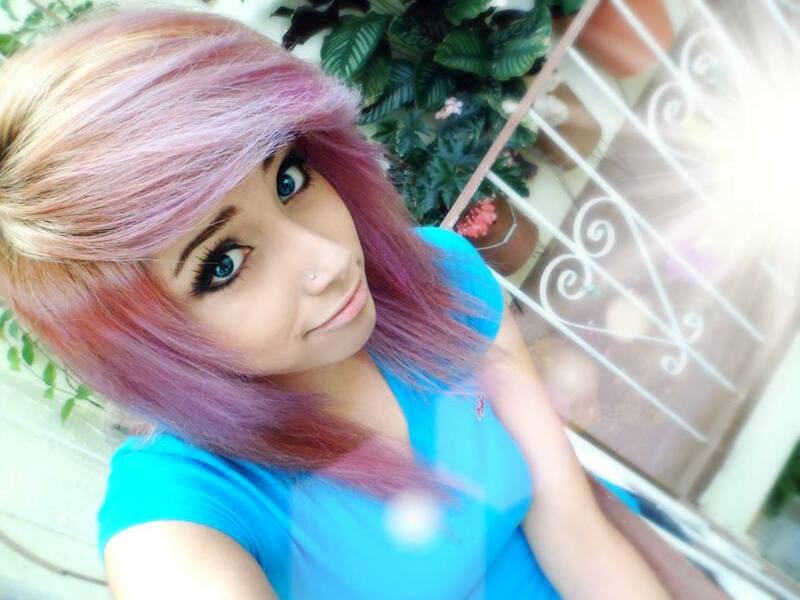 With shaggy layers and an ultra dramatic side-swept fringe, this pastel purple hairstyle is pure scene. Somewhere between a pixie and a bob, this shaggy cut is short enough to be different but long enough to allow you room to play with the style. 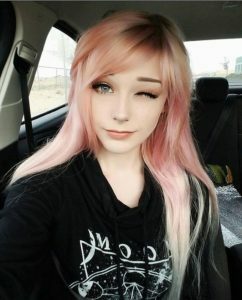 This pastel shade of bubblegum pink is perfect if you’ve got very fair skin with pink undertones, but will also work with deeper complexions. 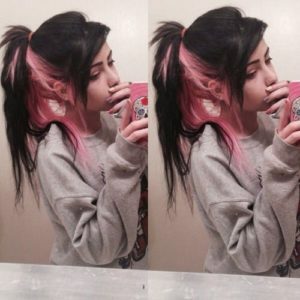 Use layers to get the maximum amount of pumped up volume in your scene hairstyle. 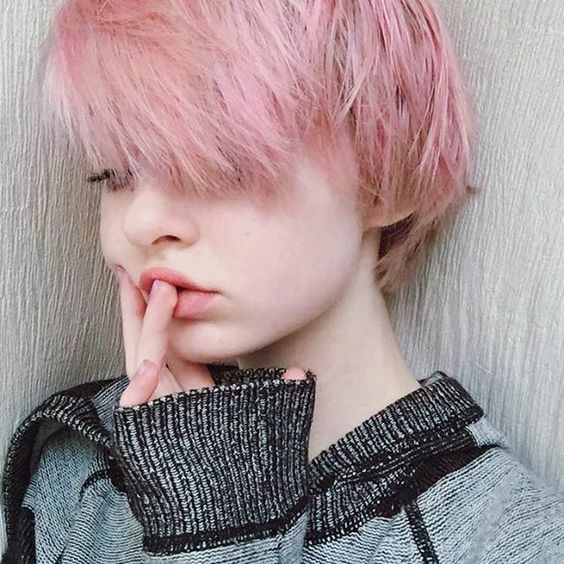 Razor texture at the ends gives this haircut an edgier feel than if the layers were soft and bouncy, while the platinum blonde color helps to add some lightness and fun. 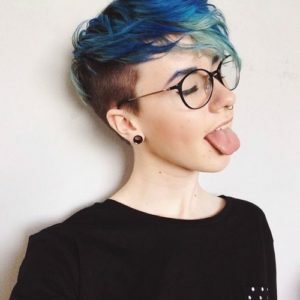 Proving that big side-swept bangs can work on a shorter style, this scene haircut features short undercut sides that are perfect for girls with really thick hair. Layered teal color helps to create tons of visual interest, while leaving hair darker underneath will save you some time and money when it comes to color upkeep. 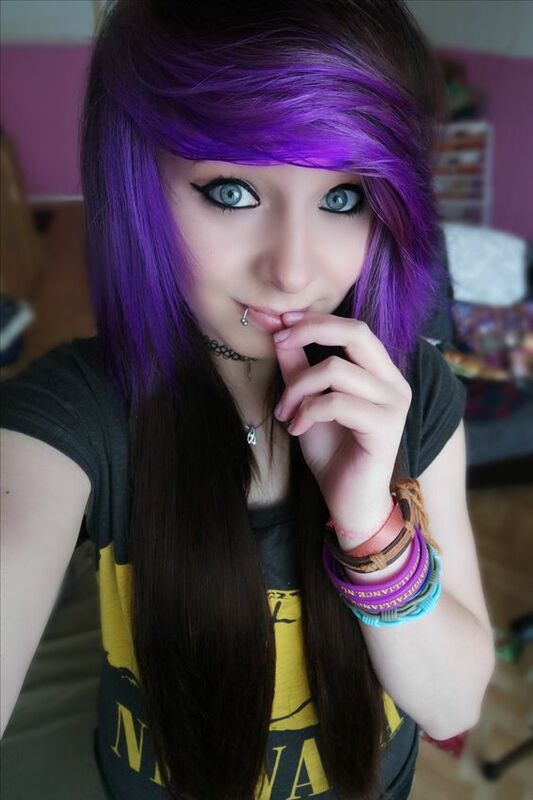 This long lilac style is a gorgeous example of how to wear shaggy layers with scene style. 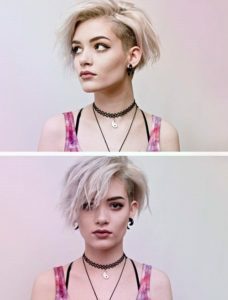 Choppy texture in the layers brings tons of edge, giving you the visual appeal of shorter pieces around the face and the styling versatility of long locks. 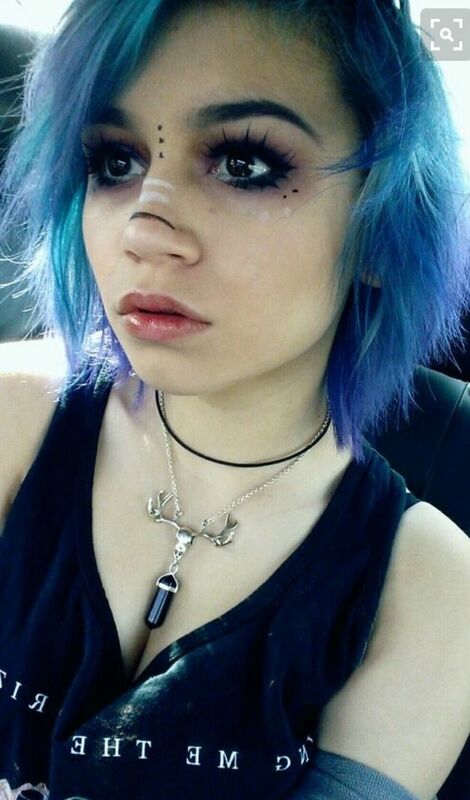 This softer scene style looks light and feathery, and a beautiful blue color contrasts well with fair skin and dark accents in eye makeup and brows. 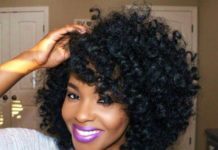 Want to keep it simple and wear a scene haircut in your natural hair color? These shaggy layers with razor textured ends give off plenty of edgy scene vibes while keeping it low-key in the color department. Scene hairstyles love all-over vibrant color, but this pink look takes things in a different direction by incorporating darker shadow roots against very pale pink ends. 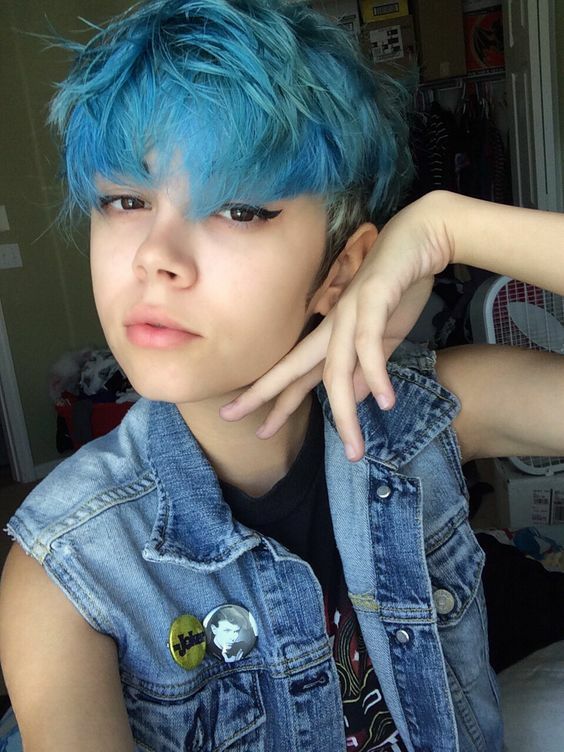 Scene style embraces androgynous looks, and this shaggy blue bowl cut is an edgy but fun scene haircut that absolutely anyone can wear. 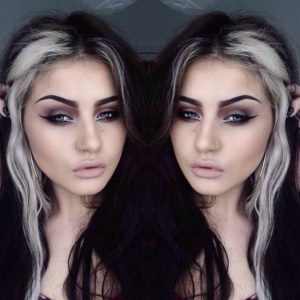 Push hair down over your brows to create a dramatic face framing look, or try a side parted style on days when you’re feeling more polished than punky. 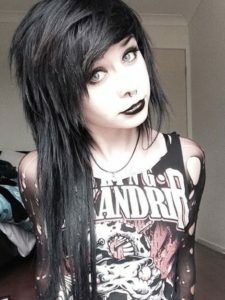 If Elvira is your spirit animal, this ultra choppy layered style can bring you the perfect blend of vampire and scene styles. Wear it in jet black if you’re a traditionalist, or incorporate bright pops of neon colors for a more vibrant look. 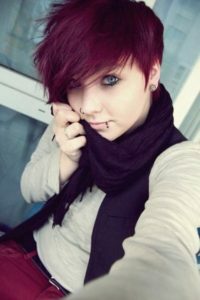 With tons of razored texture and a deeply side-swept shape, this burgundy pixie is a great scene style for warming up your fall or winter. 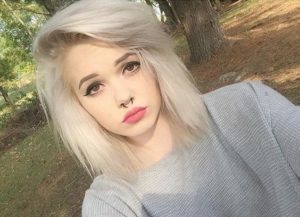 If you’re looking for a bold hair color that goes with absolutely anything, we’re in love with platinum and white blonde shades. Perfect for any season, this ultra-light color helps to dress up a more subtle mid-length haircut. Want a dark and moody scene hairstyle that isn’t pure black? Dark reds come with tons of edge but a lot more brightness. Instead of playing it single-toned, this style plays with multiple reds from bright cherry to darker, purple-tinged maroon. 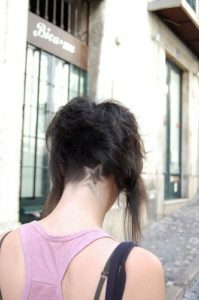 Not only are undercuts a great way to deal with extra thick hair, but they give you the added option of shaving hair tattoo designs into your short scene hairstyle. Blonde color in the bangs and peekaboo highlights throughout help to bring tons of added interest to this medium brown scene haircut. 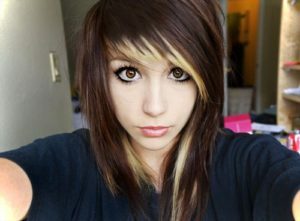 These big side bangs sweep across the brow to create drama and highlight your eyes. 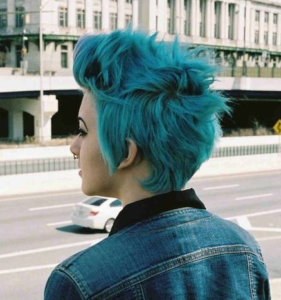 Bright royal blue and light faded aqua play together in the longer top of this edgy undercut pixie. This is a great short scene haircut for almost any hair texture, and upkeep is easy enough to do on your own. Black and blonde colors come together to create this beautiful but edgy long scene hairstyle. 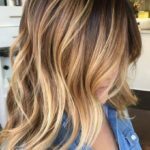 Compared to ultra popular ombre and balayage highlights, these face framing blonde pieces are a more unique way to help to brighten up your complexion and accentuate a deep side part. Give your shaggy pixie a black and white feel with this platinum and black color scheme. 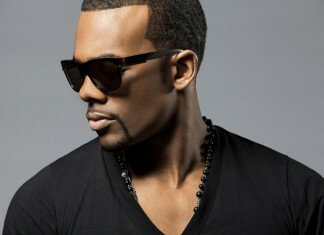 To accentuate this choppy texture, use a styling cream or pomade to add definition to the ends of your layers. 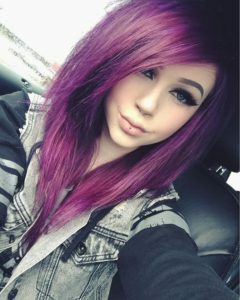 Layered hair color features one shade overtop of another instead of typical highlight styles that feature a mixture of two colors together. Deep side parted pixies are great for accentuating your face, and also go well with thick hair that looks great in an undercut. This dark blue and green color scheme has a northern lights feel, and looks even more heavenly with the addition of twilight sparkles. 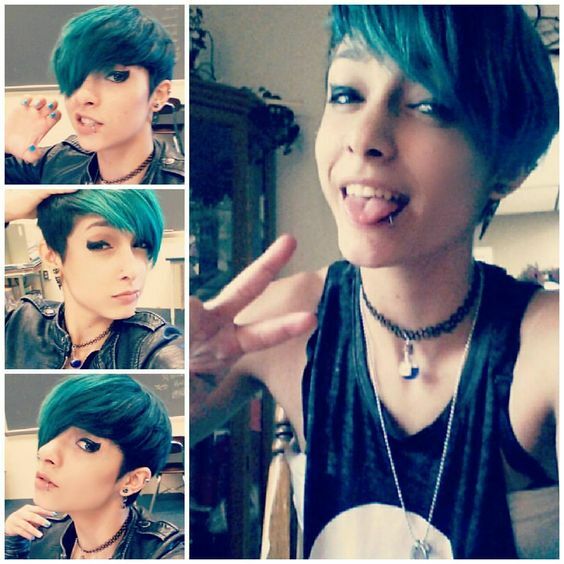 Vibrant aqua blue is one of the trendiest hair colors of the moment, and makes a perfect shade to wear with this long scene style. 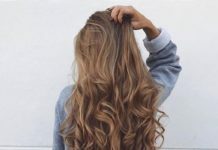 Big volume at the roots helps to give this style some of its dramatic edge, and can be achieved using a volumizing mousse, or dry shampoo a day or two after washing. 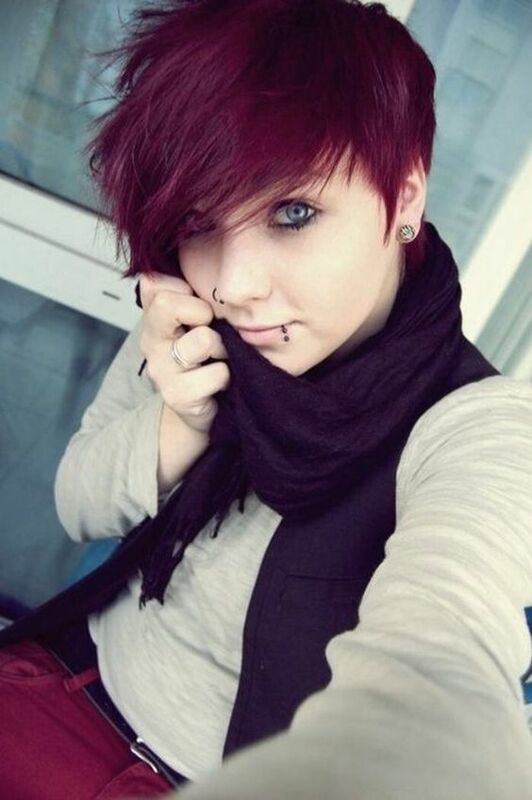 Half mohawk and half choppy pixie bangs, this burgundy pixie has tons of scene edge. If you color your hair with semi-permanent dyes, you can get a light pastel shade like this after a darker more vibrant dye fades out with washing. 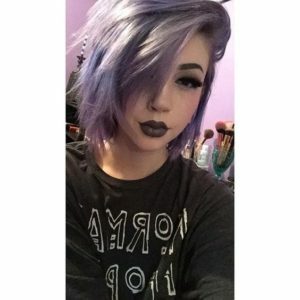 If your appreciation of scene hairstyles is sci-fi inspired, you’ll love the space age bangs that go along with this cute choppy bob. If you’re looking to put serious emphasis on your eyes, this thick, mini fringe is more than enough to do the trick. 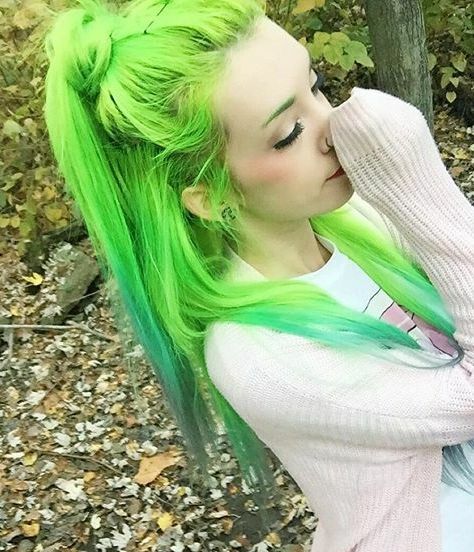 Ultra long hair looks incredibly vibrant with a rich, jewel shade like this emerald green. 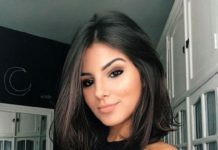 Some choppy texture helps to prevent this haircut from feeling heavy, while a side part creates a big bang swoop that can help to elongate your face. Sweep your pixie sideways to draw the eye and bring attention to your razor’s edge undercut. 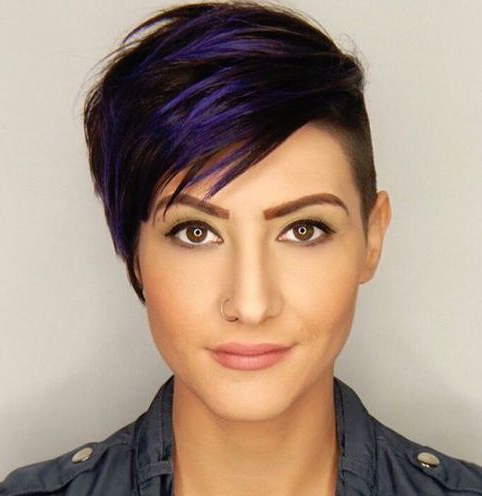 Dark purple highlights help to put something extra special in your pixie, but this short scene haircut looks great in any shade. Love pink hair and layered color? 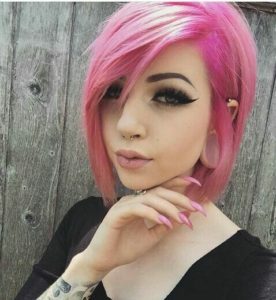 These bubblegum pink underlights can be shown off when your hair is up in a high ponytail, or can peek out from underneath when your hair is left down. If your choppy pixie feels too heavy with a thick head of hair, use a bold undercut to lose some weight and put some new edge in your style. With all of the bold colors that are popular right now, a neon color is still one way to make sure you have the most unique hair around. Neon green lengths get a bit of color variation with a darker green ombre, giving you a bold and fun green-on-green style. 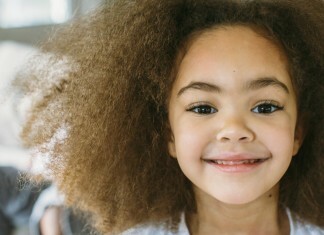 Shaggy hairstyles are popular in ultra long scene haircuts, but they also work in bob length haircuts. 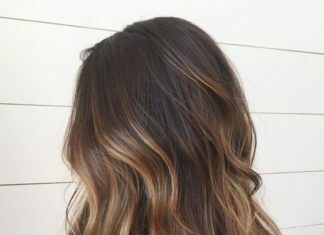 This mid-length look features several layers and side-swept bangs to create a light but edgy look, while a blonde side panel brings a little extra oomph to the look. 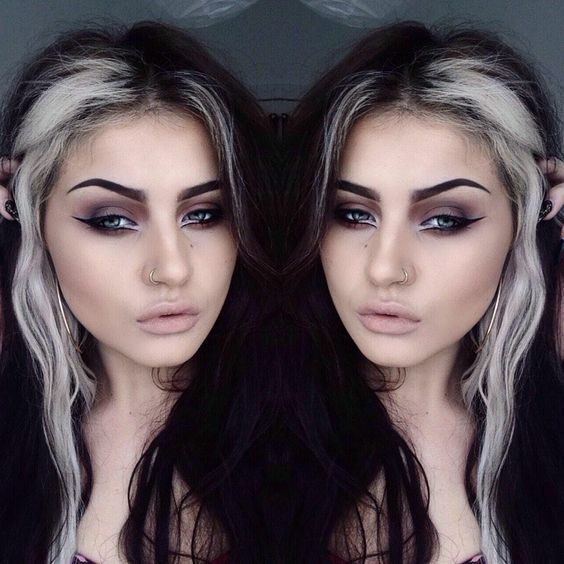 Want to put a new spin on your raven hair without going for a completely new shade? This white blonde streak will breathe new life into your dark hair. 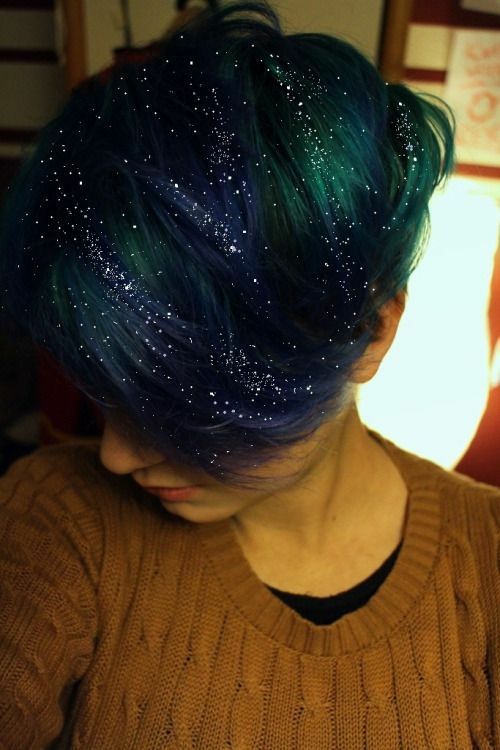 Want your really short hair to stand out in a crowd? 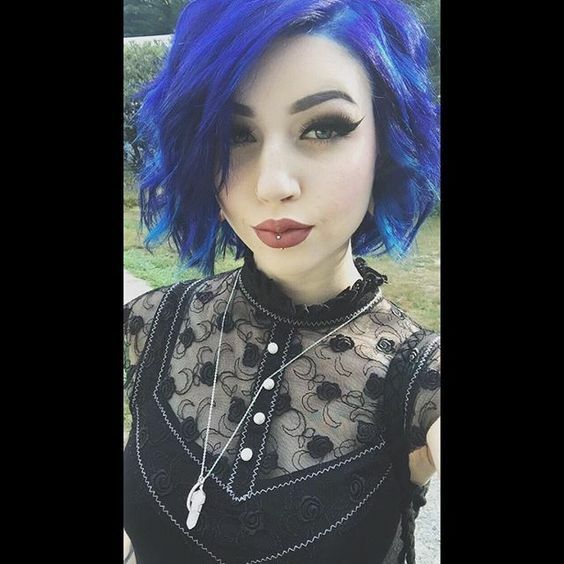 This vibrant blue pixie lets you have all the feature enhancing properties of an ultra-short haircut, while giving you gorgeous jewel-tone color. 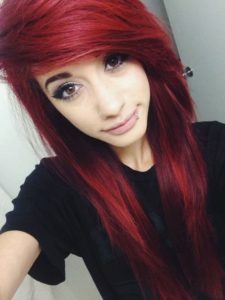 The big side-swept bangs that are popular in scene hairstyles make for a really bold look that brings attention right above your eyes. If you want to enhance the area even more, try adding highlights like this vibrant jewel-tone purple to the band of hair that sweeps across your brow. 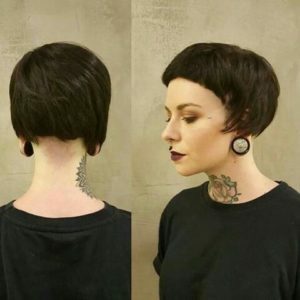 This ear-length micro bob is the epitome of edge, and makes use of a shaved undercut to raise your natural hairline, while ultra short curved bangs put a new emphasis on your facial features. 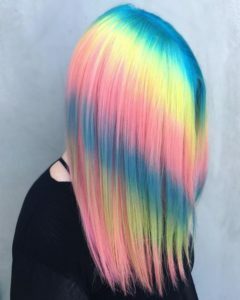 Shine line hair is the latest crazy color trend, and features bands of horizontal color across your strands. 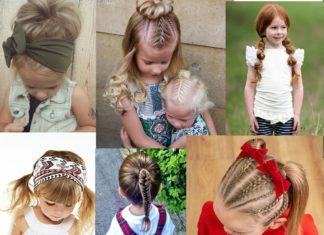 Being all about bold colors and over-the-top silhouettes, shine line hair fits perfectly with scene styles and gives you a brand new way to wear a ton of gorgeous shades at once. This mid-length haircut is like a scene version of the famous ’90s shag styles, and keeps things looking vibrant and different with its salmon color. 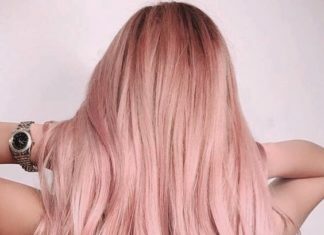 Put a peachy pink tint in your blonde hair to give your long scene layers a new girly touch. This polished sleek bob is an incredibly versatile haircut, and looks great on women of all walks of life. 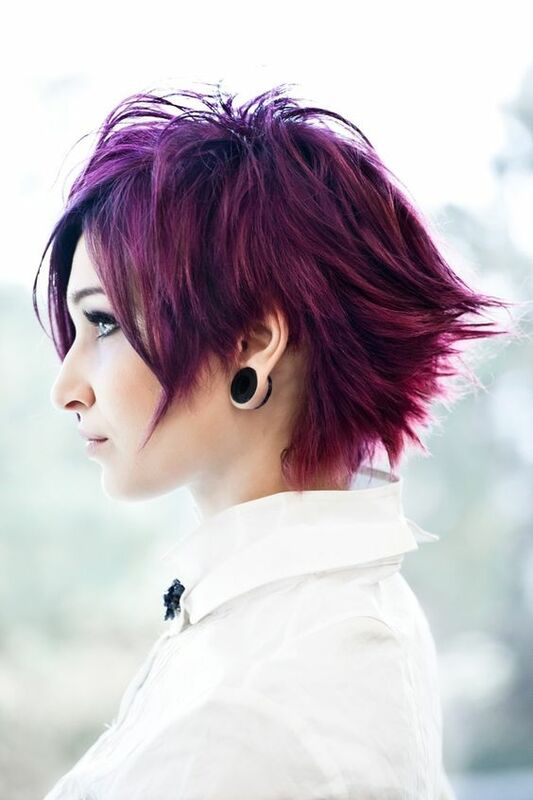 Add in a crazy vibrant shade of pink to put a little touch of scene style in your layered bob.